"Even the always-welcome Stanley Tucci can't add any flair to a movie that feels so much like a relative of John Krasinski's 2018 smash hit (…) Rating: ★½ (out of 4)"
"Once [It] actually gets around to telling the story it wants to tell, it does so rather capably. (...) The problem is, "The Silence’s" own core competency comes far too long in the game (...) Rating: ★★½ (out of 5)"
"Its plot is meandering. Its scares are cheap. Its tension is non-existent (...) There's just nothing special to be found in The Silence." "[It] isn’t just bad, it’s boring, which is a film’s ultimate sin (…) Rating: ★★ (out of 5)"
"[It] is certainly more ruthless that its predecessors and as a result manages to surprise in its own spectacular ways. 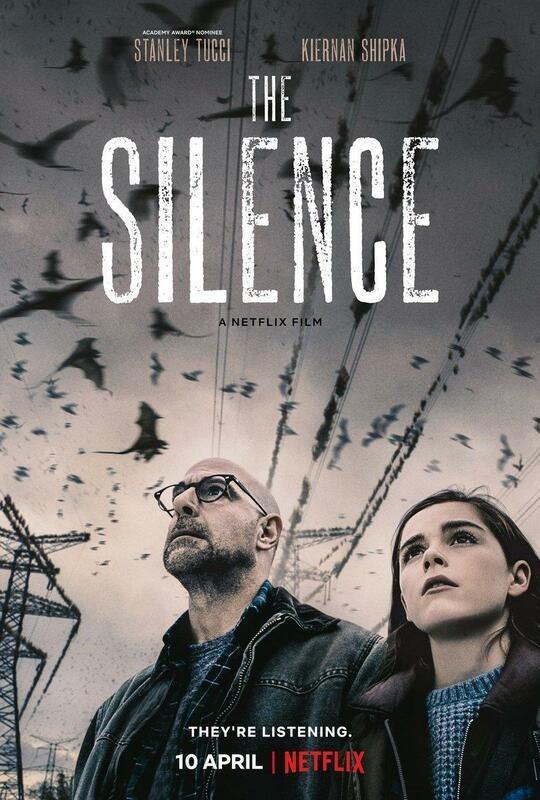 If you've seen 'A Quiet Place' and 'Bird Box', then you'll likely enjoy this new take on the emerging format. " "A miserable dud. It isn't scary, it's isn't engaging, and it isn't even preposterous to merit a camp-watch. Its only real threat is wasting your time. "A thunderingly bad horror film (...) This is the most insidious type of knockoff (…) Rating: ★ (out of 5)"